Bubbemeises is Yiddish for a grandmother’s story, a tall story, an old wives’ tale. Writer and street performer Nick Cassenbaum and his musicians invite you to enjoy a bubbemeises in the warmth of the Canning Town Schvitz, East London’s last authentic bath house. Amongst the steam and ritual Nick will take you on a journey to find the place he belongs. Schlapping through summer camps, barber shops and Spurs games, will Nick find what he was looking for? 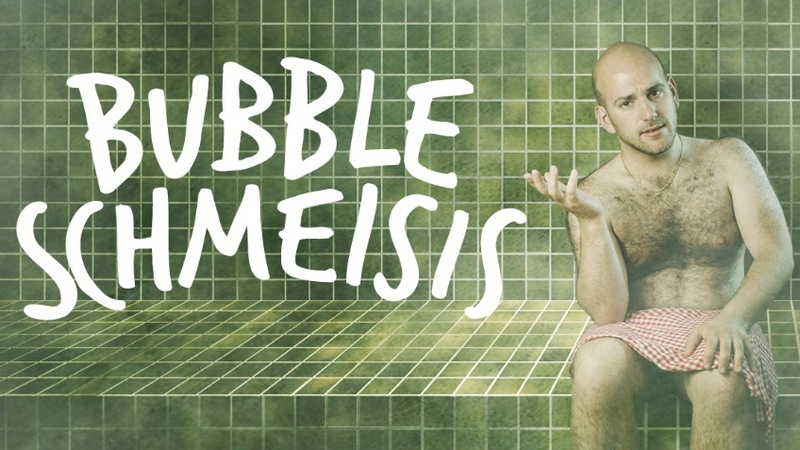 Bubble Schmeisis is full of intimate and personal true stories about identity, home and getting schmeised (washed) by old men.